Via their website and Facebook page, Hold Erie Coke Accountable (HECA) is keeping the public informed. 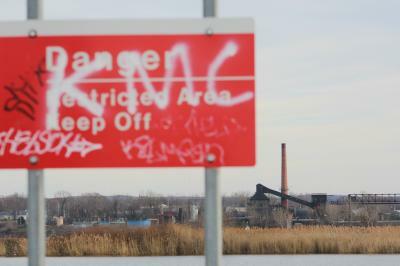 They urge the community to report anything "out of the ordinary" coming from the Erie Coke facility at the foot of East Ave. to DEP's Northwest Service Representative Kim Yeakle: (814) 332-6839 or kyeakle@pa.gov; or by calling the DEP toll-free at 1-866-255-5158. You may also report incidents directly to the DEP via a form on their complaint page. These reports will be crucial during DEP's current review of Erie Coke's Title V Operating Permit and National Pollutant Discharge Elimination System (NPDES) Permit for wastewater. If you observe any type of odors, such as those that are acidic or sulfuric, or colored plumes of yellow or dark smoke, please contact the DEP directly. Consider also demanding that DEP provide more air quality monitors.